Diet pills are taking the world for a ride. 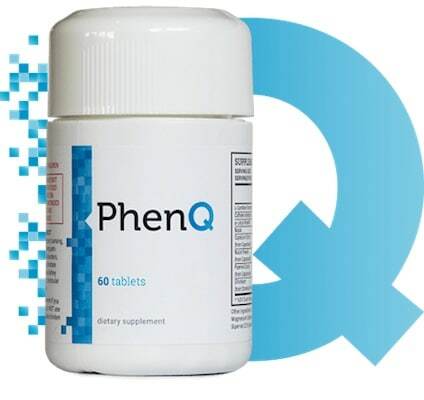 Even after much development in the industry of diet pills, there are still many of them that are being sold out there in the market but do not live up to their promises. In fact, some of the diet pills come with a host of new problems and side effects. 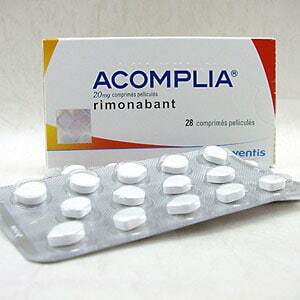 Rimonabant (Acomplia is one such phentermine pill that fails to work. Main article here. A new class of therapeutic agents was released and Acomplia (Rimonabant) was the first in that class. These agents were called CB1 or Cannabinoid 1. The drug basically worked by blocking the binding of endogenous cannabinoid to CB1 neuronal receptors. The active ingredient in Rimonabant or Acomplia tablets is Rimonabant. Other names for Rimonabant are Zimulti, Acomplia, Monaslim, Bethin, Riobant, Remonabent, Rimoslim and Riomont. Rimonabant selectively blocks the CB1 receptors that are present in the brain and other peripheral organs important in fat/lipid and glucose metabolism, including muscle, gastrointestinal tract, liver and adipose tissue. Basically, it switches off those brain circuits that are responsible for making people hungry while smoking cannabis. Acomplia, along with CB1 receptors, reduces the EC system’s over-activity. The EC system includes many receptors like CB1 receptor and is responsible for regulating the weight of the body and controlling lipid, glucose metabolism, as well as energy balance. One 20 mg tablet is supposed to be taken daily and only once. This dose is to be administered orally through the mouth and should be taken before breakfast. It became available in UK in the beginning of July 2006 and by 2008, there were 56 countries where it was available. It was meant for people with a BMI greater than 30 or people whose BMI was greater than 27 but who had other risk factors like dyslipidemia and type 2-diabetes. In June 2006, European Commission approved its sale and it was submitted to FDA for US approval. However, FDA’s EMDAC voted against the drug, concluding that Sanofi-Aventis, the manufacturers of Rimonabant, had not demonstrated its safety effectively. In 2009, EMEA withdrew Acomplia, after suspending it in 2008, because of severe psychological side effects of the drug, such as suicidal tendencies. FDA never approved Rimonabant and therefore, it has never been marketed in the US. The side effects of Rimonabant are so many that they effectively counteract any positive effects that it may present. Even during the trials, it was reported that 1 patient out of every 8 dropped out of the said trials since the side effects became intolerable for them. The biggest and the most adverse effects, however, were psychological. Depression has come to get associated as a severe side effect of Rimonabant. This depression was so serious that it required medical treatment to be managed. Because of Rimonabant’s effectiveness against smoking, many people used it for smoking cessation and suffered from suicidal depression. Many patients experienced and reported extreme anxiety levels after taking Rimonabant. Nausea is another side effect which was so severe that it started interfering with the patients’ daily life. Gastrointestinal Problems – One of the noted side effects are diarrhea, dry mouth, loss of appetite, nausea, vomiting and other gastrointestinal disorders. Skin Problems – Excessive sweating and itching has been reported. Musculoskeletal Problems – Joint sprains, back pain, inflammation and pain in the tendons, and spasms and cramps in muscles are common side effects. Central Nervous System – Depression, memory loss, anxiety, mood changes, dizziness, diarrhea and sleep disorder. While experts speculate that if the dosage is lowered, some side effects may be managed but that still does not change the fact that the drug was never approved in the US because of the severity of its side effects. Also, the side effects that have been reported are rather serious which nullifies the drug’s positive effects against weight gain and smoking cessation.